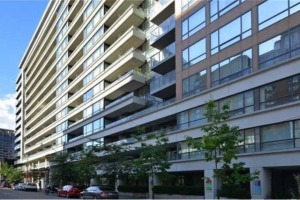 This 1 Bedroom+Den Unit Features South View, 9'Ceilings, Functional Layout, And Amazing Location. Amenities: Concierge, Gym With Yoga/Spin Studio, Theatre Room, Guest Suites And Outdoor Terrace. 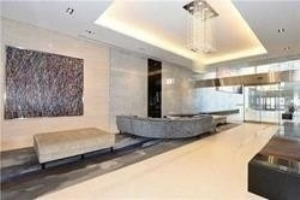 This Condo Is Perfect For Professionals Who Want To Enjoy Everything Toronto's Vibrant Downtown Has To Offer! Steps To Public Transit And With Access To The Underground Path. Fridge, B/I Stove, Washer, Dryer, B/I Dishwasher, Elfs, Window Coverings, Wine Rack, Microwave. 1 Locker Bicycle Included.